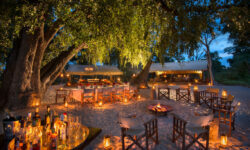 On the far eastern edge of the private 320,000 acre Selinda Reserve in Northern Botswana lies a Explorer Camp. 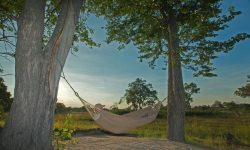 Accommodating maximum 8 guests sharing in 4 tents located alongside the Selinda Spillway. Children from 10 years old are welcome. 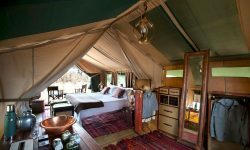 Under the canopy of the towering jackalberry and mangosteen trees the 4 custom-designed tents have expedition style décor giving the camp the explorer feeling in traditional canvas tents. 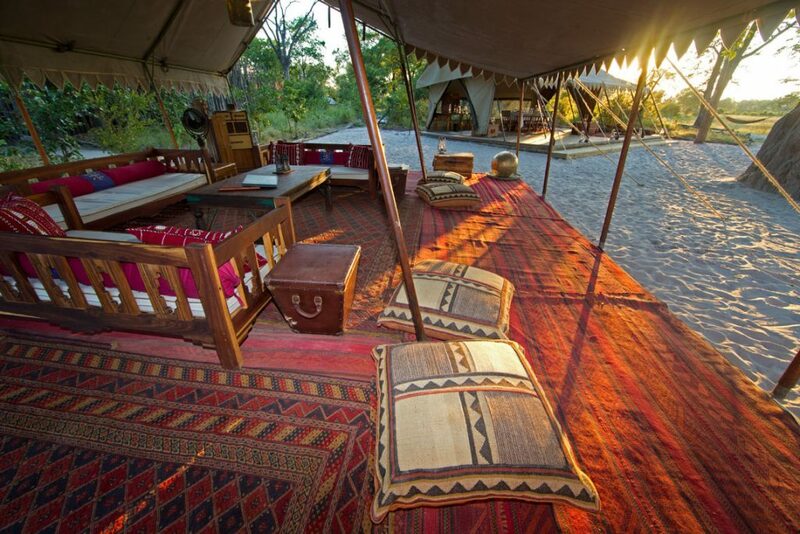 The camp used to be in Selous Game Reserve in Tanzania but was moved in 2012. 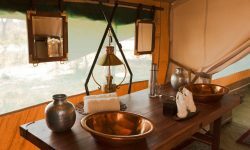 The camp follows the magic of expedition of safaris gone by, hot and cold water are provided in large jugs on demand for the copper vanities. The separate en-suite flush toilets and shower area although enclosed at the sides, are open to the stars above. For the romantics a brass hip bath can be portered to the nearby sandbank on the edge of the Selinda Spillway for a bath under the stars. 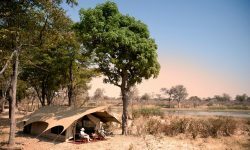 The wildlife sightings are mainly focused on guided walks and canoe trips followed by open vehicle game drives.